Apple is expected to roll out iOS 6 to iPhones, iPads and the iPod Touch in the coming months, and the company is hard at work on new iCloud-enabled features for the latest version of its mobile platform. Apple recently added Reminders and Notes to the developer beta of iCloud.com, Apple's Web portal for accessing a limited number of iCloud features. Reports prior to Apple's early June announcement of iOS 6 claimed Reminders and Notes would be added to iCloud.com. Even if you're not a developer you can still see that new apps are coming to iCloud.com by visiting beta.icloud.com. You won't be able to sign-in without access to a device running iOS 6, but right behind the sign-in window you can see the Reminders app icon peeking out. Alongside the new Reminders and Notes apps, Apple has also added new features to Calendar and Find My iPhone, according to MacRumors. The new Notes and Reminders apps look similar to their iOS counterparts right down to the folder and torn notepad on the Notes app, the Apple rumor site says. The Web version of Find My iPhone has reportedly added a new battery status icon so you know how much power your device has left if you can't find it. Apple may also be getting ready to add Calendar notifications to iCloud.com, according to 9to5 Mac. A report in May by Apple Insider said some users noted seeing test versions of notifications on Apple's iCloud website. With iOS 6 expected in the fall, it's not clear whether Apple has plans to add more functionality to the iCloud portal. Apple has already announced several features that could fit into iCloud.com including shared photo streams, Safari tabs, and the Mail app's new VIP list. The current version of iCloud.com features access to iCloud-enabled Mail, Contacts, Calendar, Find My iPhone and iWork. 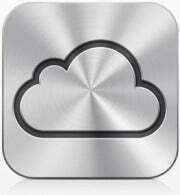 The new additions to iCloud should become available to all users around the time of the iOS 6 launch. Reminders and Notes are also headed to OS X Mountain Lion, which is set for release in July.